If you haven't started your Christmas shopping spree yet, there's never been a better time to start adding things to your virtual basket. That's because Amazon UK is offering shoppers free delivery on almost everything for the next week only. The promotion ditches the current £20 minimum spend required for free delivery on items from Amazon – or £10 threshold for orders of books. From November 29 to December 5, everything will be delivered free – no matter the value of the order. Amazon typically charges between £0.99 to £4.49 for its Standard Delivery, which aims to get your order to your door within 1-2 business days after dispatch. For the next week the discount code FREEDELIVERY at checkout will eliminate those costs. It's worth noting that the promotion only applies to items listed as either "dispatched” or “fulfilled” by Amazon itself. This information can be found on the product detail page. The FREEDELIVERY promotional code can be used multiple times over the course of the week-long scheme, so don't feel the need to save your code for a single order at the tail-end of December 5. Be aware that using your 1-Click ordering method will not apply any promotional code to your order, so you'll miss-out on the discounted delivery. Free shipping on all items is typically something only available to those who subscribe to the Amazon Prime membership scheme. Prime Membership offers free one-day delivery on millions of eligible items. 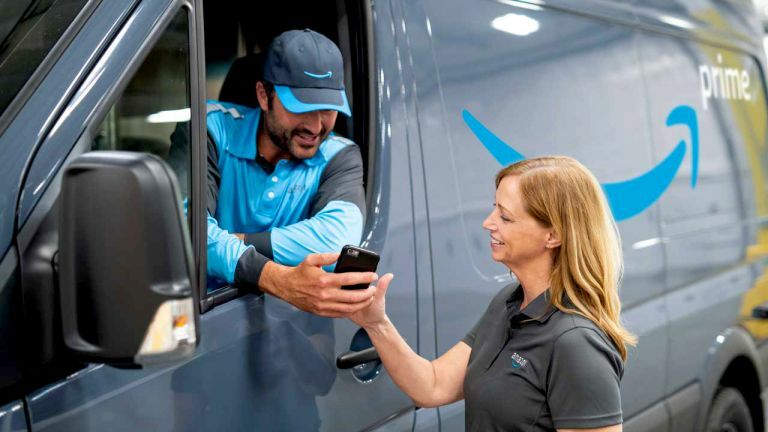 Prime shoppers in eligible postcodes can also choose to have same-day delivery in the evening on their orders, or within two hours using the Prime Now standalone app. Prime membership costs £79 a year, or £7.99 a month in the UK, or $119 a year, $12.99 a month, in the United States. For that, you'll also get access to Prime Video, Prime Reading library of novels and magazines, Prime Wardrobe "try before you buy" service, Prime Music, and household essentials via Amazon Pantry.